BIGTON Farm’s trophy cabinet has increased in size again after success at this year’s British Farming Awards. 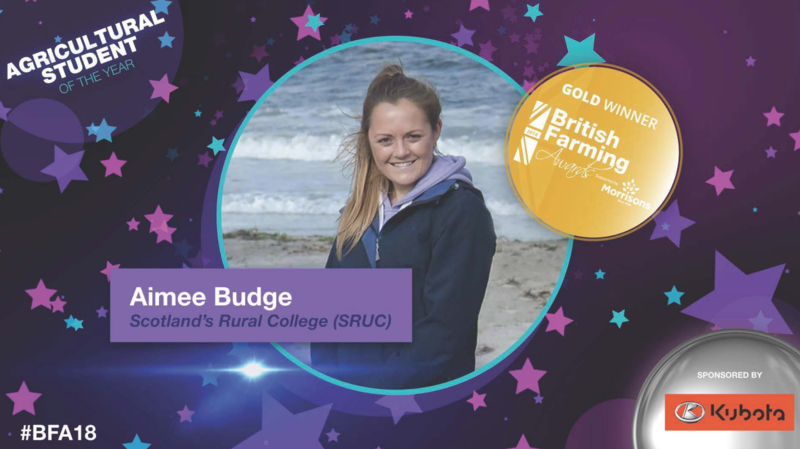 Aimee Budge, who runs the farm alongside sister Kirsty, was named agricultural student of the year at the ceremony in Birmingham on Thursday. She graduated with a BA from Scotland’s Rural College in May. Earlier this year the pair were named ‘farming heroes’ by the BBC Food and Farming Awards. Aimee and Kirsty have also been confirmed to speak at next year’s Farming Scotland Conference. The event will take place in Carnoustie on 14 February. The Budge sisters starting running Bigton Farm themselves after their father Bryden died in a tragic accident in 2014. A couple of years ago it became Scotland’s sixth “monitor farm”, providing practical demonstrations, the sharing of best practice and discussion of up-to-date issues.